Steve and I rang in The Year of The Snake at Sunda, for their celebratory menu recognizing the Chinese New Year. They offered delicious specials from Chef Jess DeGuzman along with a traditional Chinese Dragon Dance. Steve travels to China a lot and enjoyed the authenticity of the food and Chinese customs that were incorporated into the night. To drink, I started with a Billy's Super Fresh Saketini. Steve had the Grass Tiger. Both were fantastic and refreshing. I always love the range of flavors in this dish and this time was no exception. The serving was plentiful, and no doubt great tasting. The mushrooms were excellent, and truffle soy was not over powering, just the way it should be. Think your typical American style Chinese sesame chicken, and then jazz it up a bit. I thought it was really good and reminded me of a dish I ate in Beijing. The presentation was incredible. They take the skeleton of the red snapper and deep fry it. The filleted chunks of meat once attached to the fish are deep fried and sit below the the skeleton on the plate for you to enjoy. Bok Choy is one of my favorite Chinese veggies! It was "off the hook"! The flavors were fantastic and an upscale version of pepper beef! Asian pancake, roasted duck, cabbage, carrots, crispy skin, scallion, hoisin. These were absolutely amazing. Probably my favorite dish. It reminded me of an incredible China style taco. 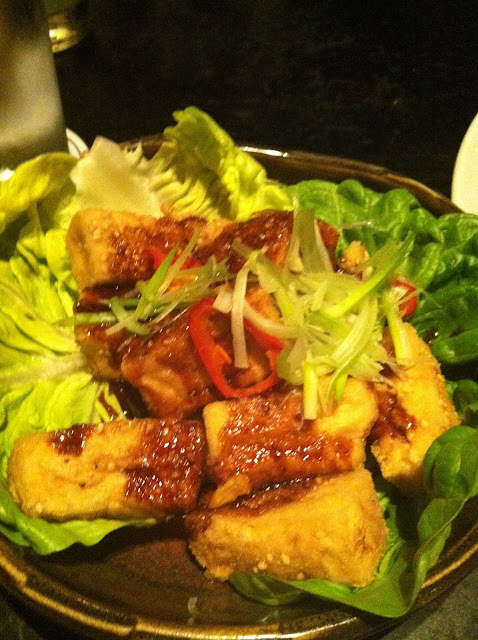 This was really light and the tofu acts like a sponge and soaks up the flavors from the scallions, chili's, and garlic. For those vegetarians, this is a good dish to get your protein on. Mushroom, Ginger, Scallion, black beans, sesame soy. The concept and presentation of this dish was wonderful. Steve remarked this was the most authentic Chinese style dish that was served, and that he has eaten many similar style dishes in Fuzhou, located on the China eastern seaboard across from Taipai. Steve has a sweet tooth. Of course he couldn't pass on some Mochi mixed flavors served along side an assortment of dipping sauces. Yummy! Our evening was fun and perfect. 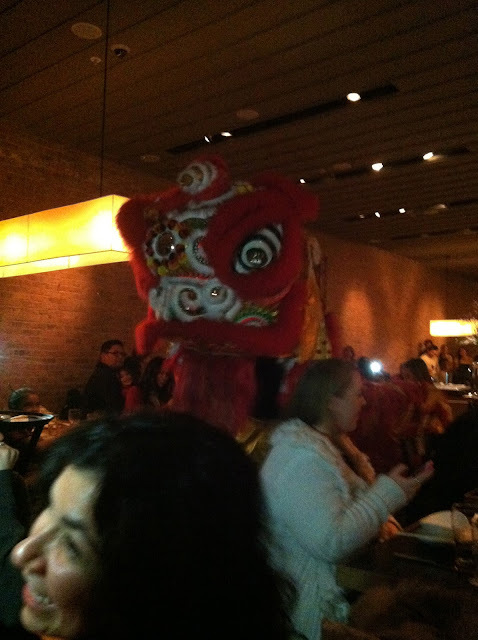 I highly recommend you plan to go to Sunda next year to ring in the Chinese New Year! The service was expectational and the staff was very friendly. 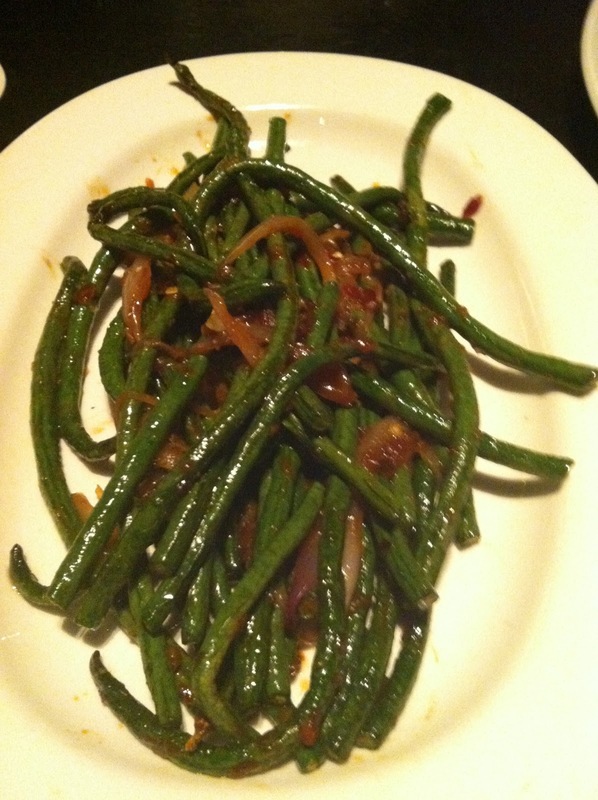 Sunda is one of my favorite upscale and trendy Asian spots to eat in Chicago. It's a Chicago hot spot and you probably will see a celebrity there; I saw Olympian Jordan Weaver! Long the destination t shirt in spanish for well heeled tourists coming to Malaysia, the island has an array of well established top notch hotels, including the Four Seasons Resort, the Andaman and the newly opened Danna. Sitting palace t shirt on the marine border with Thailand, this is the largest island on Malaysia's west coast, with limestone cliffs, fjords and sea stacks, as well as mangroves that are home to kingfishers, eagles and joker shirt dolphins. Many visitors rent a car for the day and drive a circuit taking in the island's beaches, hot springs, rubber plantations, boatbuilding yards and co operative craft centres.